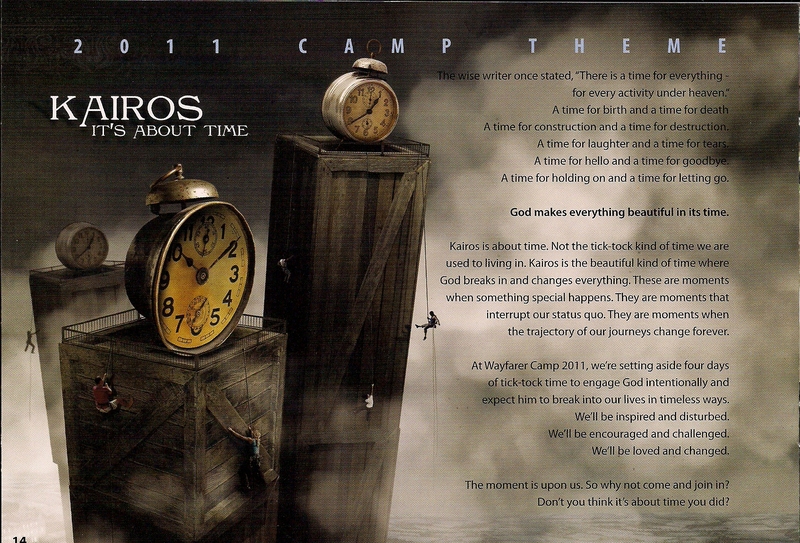 At Wayfarer Camp 2011, we’re setting aside four days of tick-tock time to engage God intentionally and expect him to break into our lives in timeless ways. We’ll be inspired and disturbed. We’ll be encouraged and challenged. We’ll be loved and changed.